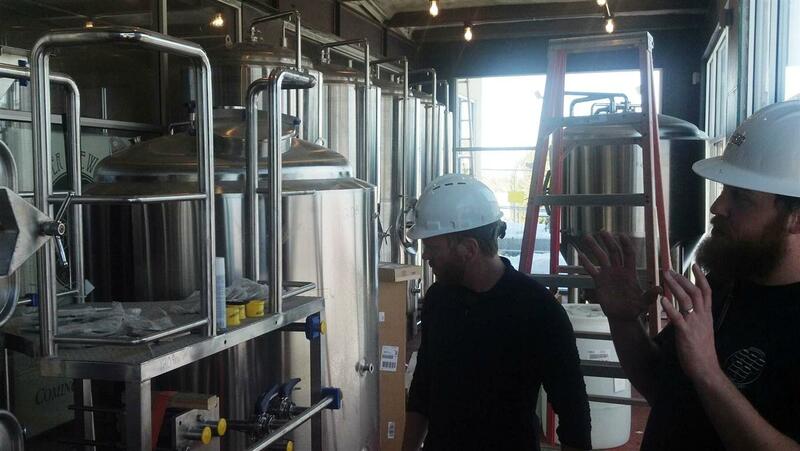 Bozeman’s busy craft beer scene is about to get a new member. 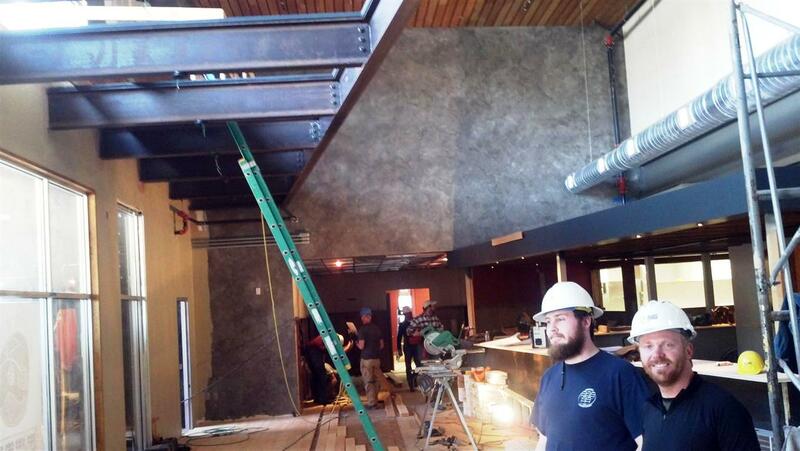 Located directly across the street from the Fieldhouse on MSU’s Campus, Bridger Brewing Company was a proverbial beehive of construction activity when we stopped in last week for a preview tour of the facilities. Co-owners David and Jim and Head Brewer Dan graciously took time out of their day to show off the progress during our chance visit through Bozeman. Without a doubt, we’re excited to get back once they’re up and running. 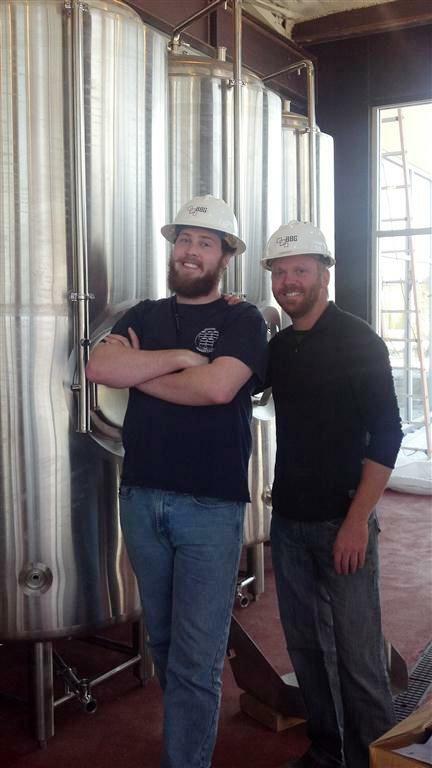 Expect a variety of innovative brews to always be on tap from David Breck and Dan Pollard’s work on the brewing side. (I couldn’t get them to reveal what the first beer would be.) Dan previously brewed for Pelican Pub and Brewery, a frequent award winning brewery on the Oregon coast. Dave has previous experience at the now-closed Spanish Peaks Brewing, Full Sail Brewing Co. and Snoqualmie Falls Brewery. The 10 bbl brewing system was just being installed and space remained for a bit of expansion and perhaps some future barrel racks. Jim will be running the kitchen side, following up on a long held dream of starting a restaurant. He’s been a guide in the Bozeman area for many years and will bring a love of the outdoors and the area into the kitchen. Using locally sourced ingredients, Jim plans to create pizzas that are every bit as craft as the beer – several varieties of pepperoni will be on hand including a bison version, for example. Initial plans are to offer slices during lunch and whole pies at dinner time. Is there any better pairing than craft beer and craft pizza? 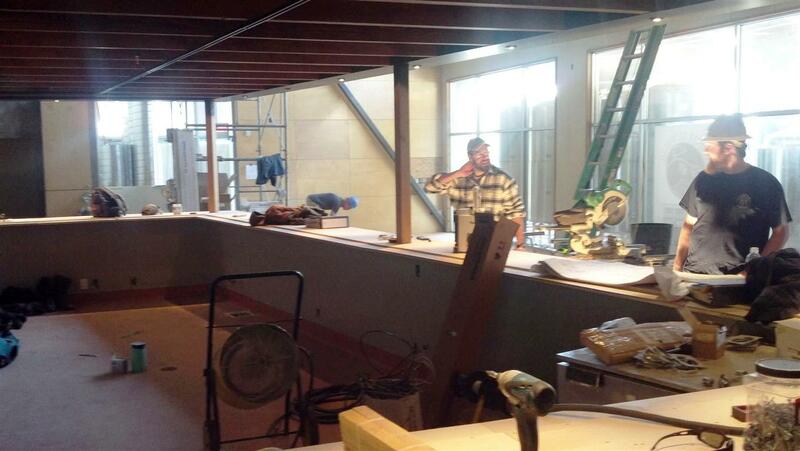 Look for Bridger Brewing Company to open mid-February-ish. January 24, 2013 in Uncategorized. Tags: beer and food, Bozeman, breweries, Bridger Brewing Co.